The Dual Profile 2-Port USB 3.0 PCIe i/e Adapter from SIIG instantly adds two additional USB 3.0 ports (one internal and one external) to your PCIe-enabled desktop computer for connecting a wide variety of high-bandwidth USB 3.0 devices. It delivers ultra-fast USB 3.0 data transfer rates of up to 5Gb/s and offers backward compatibility for previous versions of USB devices. This host adapter works with full height and low profile chassis system with the included bracket providing utmost flexibility in system chassis installation. 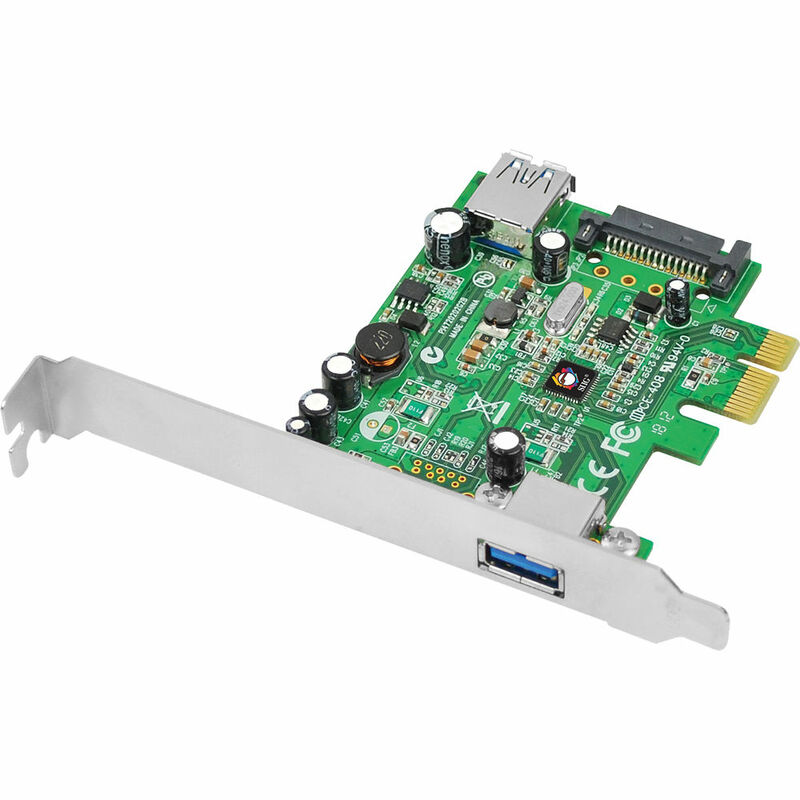 The DP 2-Port USB 3.0 PCIe Adapter conforms to USB 3.0 specification and PCIe base specification, revision 2.0 standards. It is also FCC Class B (DoC) & CE regulatory approved and RoHS compliant. Furthermore, this adapter is fully compatible with a wide variety of Windows operating systems. Box Dimensions (LxWxH) 9.75 x 7.75 x 2.25"